I hope you are having a wonderful summer. Maybe you have some extra time to spend on crafting? If that is the case then I would love it for you to take part in this months challenge at Spectrum Noir. It could not be any easier than this months theme. Anything goes. Easy, right? All you have to do is to use Spectrum Noir products for coloring and post your work here and you have a chance to win some great prizes. I used Spectrum Noir Aqua Markers for my card. 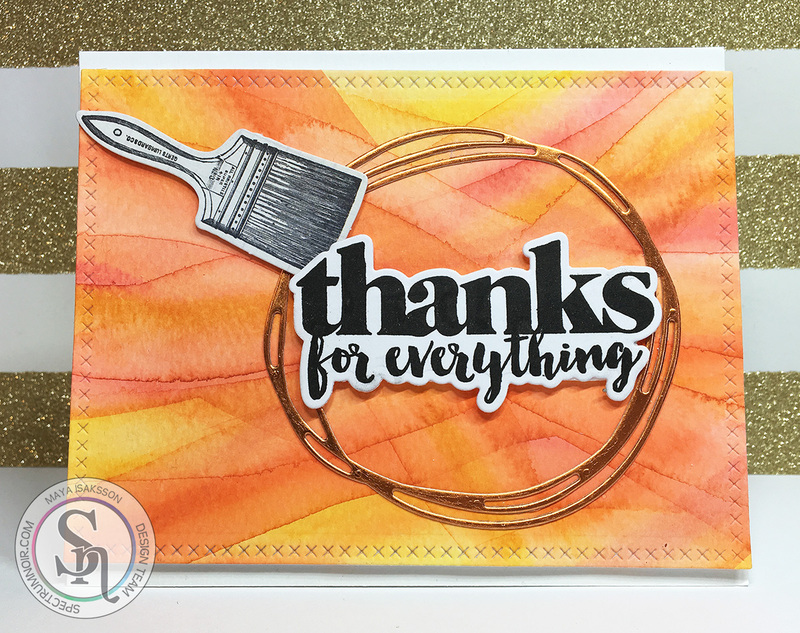 I used shades of red, yellow and pink and let them dry between layers to create this card. I Have done a similar sy before and it's so fun to keep adding layers and see if you like it. AquaMarkers in Gold, Amber, Crimson, Sunset, Blossom. 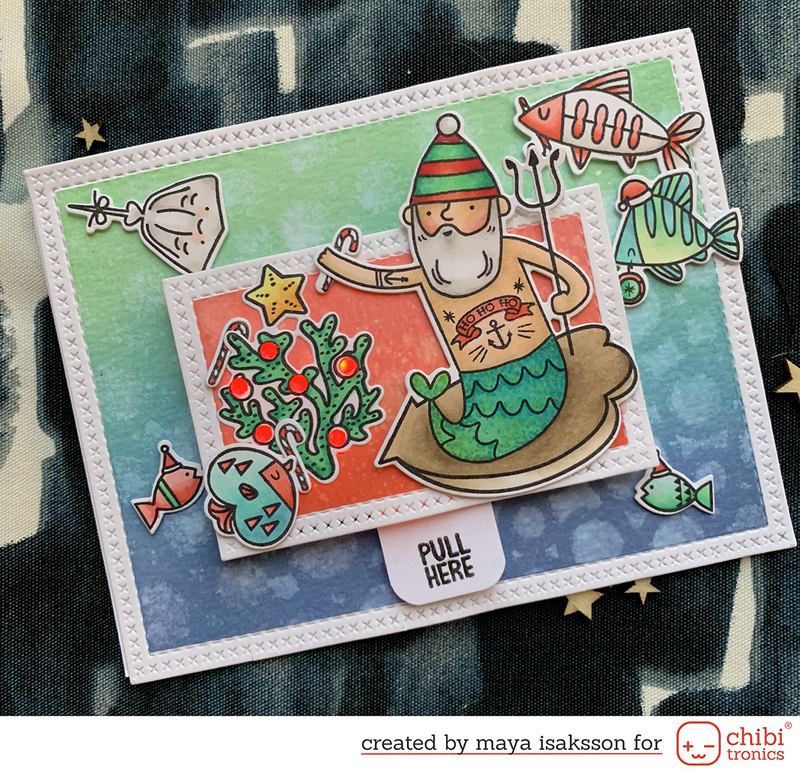 Stamp by Crafters Companion, dies by Lawn Fawn and Gummiapan.